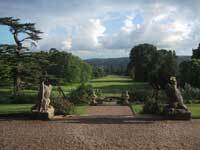 Weirmill is ideally located in Mid Devon making many attractions etc. easily accessible. Family Attractions - there are many attractions in the area to suit most requirements and age groups. Other Attractions/Activities - There are several other places to visit such as museums, golf courses, National Trust properties and Gardens. 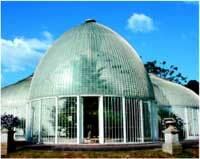 Below are some attractions that you may like to visit on your stay with us. 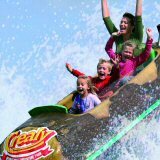 Crealy Adventure Park nr Exeter is the South Wests largest theme park. 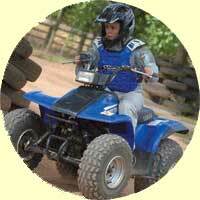 With rides for children and other indoor activites this is a great day out. Devon's Premier All-Terrain Off Road Fun. Coldharbour Mill, Uffculme is a a 200 year old spinning mill there is a licensed café and mill shop that sells many unique products manufactured exclusively by the mill. Just 20 mins drive from Weirmill is Knightshayes Court, a National Trust Victorian country house with richly decorated interiors and garden with outstanding plant collection and restaurant on site. Please check website for opening times as they do vary throughout the year. Exmouth has' two miles of golden sands. A busy beach, it is seldom overcrowded, and the Esplanade is a pleasure to stroll along, offering panoramic views of the Exe estuary. 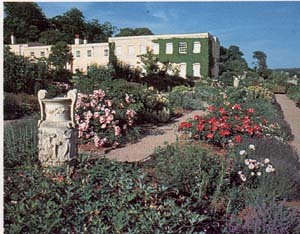 Killerton House is an 18th-century house in Broadclyst, Exeter, Devon, England, which, with its hillside garden and estate, has been owned by the National Trust since 1944 and is open to the public and also has its own fashiom exhibition.